At mama KULEANA, we hand make each container with purpose. Made here on Maui, each individual container is filled with care, knowing you are caring about your health and the health of our ocean. 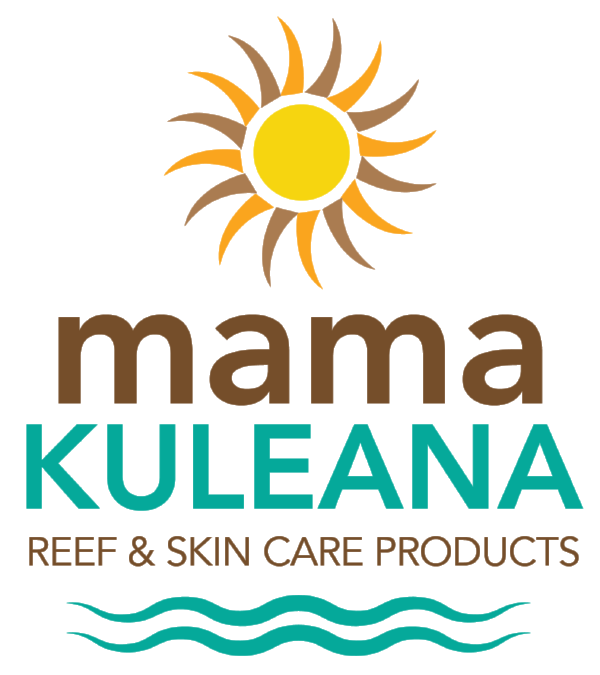 mama KULEANA Reef Safe Sunscreen is hand made in small batches in the foothills of the West Maui Mountains. We only use biodegradable containers that disintegrate in landfill after two months! Our sunscreen is safe for both reef and humans alike! Not for our fish, not for our coral and not for us! mama KULEANA avoids ingredients that are harmful to our reefs and our bodies. We applaud you, the conscious consumer! Congratulations on making mindful decisions about the products you buy, put on your bodies, and infuse into our oceans. Have any questions? E-mail us at info@mamakuleana.com. P.S. Even our packaging is biodegradable! Our next mission will be to educate law makers about banning the use of single use plastics.....we won't stop caring about Planet Earth! We will keep working to improve our health and our environment, one small act at at time! With every order of THREE sunscreens or more, we will send you an engraved mama KULEANA metal reusable straw! This is another huge step in cleaning saving our ocean life: eliminating single use plastics and keeping plastic straws out of our ocean! At Mama KULEANA, we take responsibility for using only ingredients that are healthy for our reefs and our bodies. All of our products are hand-made in small batches by mama KULEANA in the foothills of the West Maui Mountains. Living close to Maui's Mother Reef, we have a deep appreciation of the need for healthy reefs. Did you know that the reefs supply more oxygen to our planet than trees do? If you enjoy breathing, please spread the word about reef health! Please review each product carefully for any individual allergies you may have! Carrot Oil and Frankincense Oil, for their skin protecting properties. Did you know??? Even the cardboard 2 ounce container and the label are biodegradable! We use no plastics, ever! This is another step in the KULEANA process: taking responsibility for the planet by not creating garbage that cannot biodegrade. You can become a conscious consumer by being aware of harmful ingredients! There are four common sunscreen ingredients have been shown to cause complete coral bleaching and to disrupt human hormones, even at extremely low concentrations. It's worth keeping an eye out for these ingredients and AVOID THEM COMPLETELY! The 2 ounce container makes it easy to take in your carry on luggage! Select Size/Chest Size Small: 35-37"Medium: 38-40"Large: 41-43"Extra large: 44-46"
.......we add new locations each month! Keep checking and keep asking about us in your favorite spots!